So I am slowly starting to sell off my personal collection of old school high end hockey cards and signatures. I have about 15 Gretzky rookies, 20 signed Gretzky oilers cards, signed Lindbergh cards + his ORIGINAL signed Flyers contract, and his ORIGINAL signed contract with Swedish hockey club Hammarby. Plus more classic hockey signatures. I wanted to see if there was any interest here, please feel free to contact me with any questions or if you want more photos or scans. I live in Southern Sweden and can meet if you are interested in buying. Thank you, and I am starting to look for buyers. So if you are interested, if you know anyone who might be or where I can turn, let me know. I am also looking in to shipping the items over to Canada to sell them on auction. 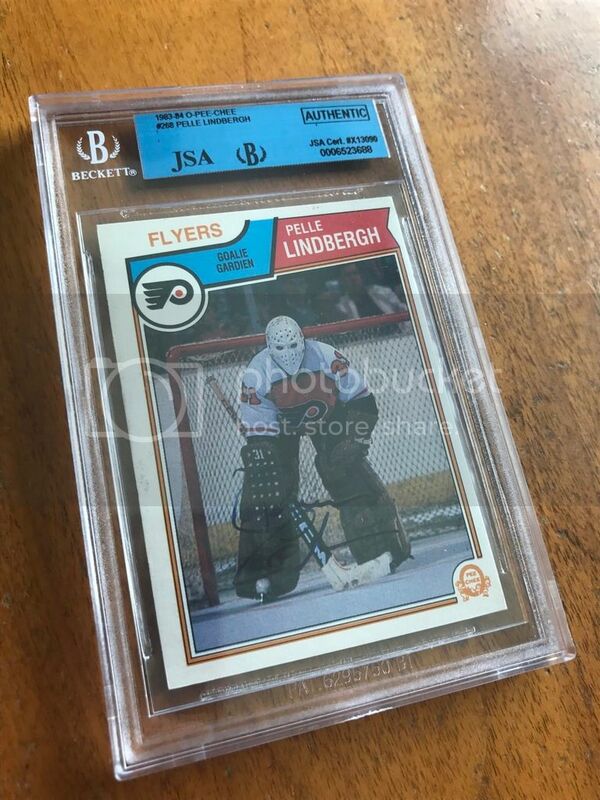 Återgå till "Hockeycards for trade, sell or buy"